Have an upcoming DIY planned? 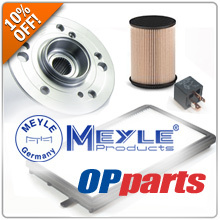 Shop and save 10% off all Meyle and OPParts within our catalog for the OE replacement parts you need. Enter Promo code MEYOP during Checkout in Step 5.